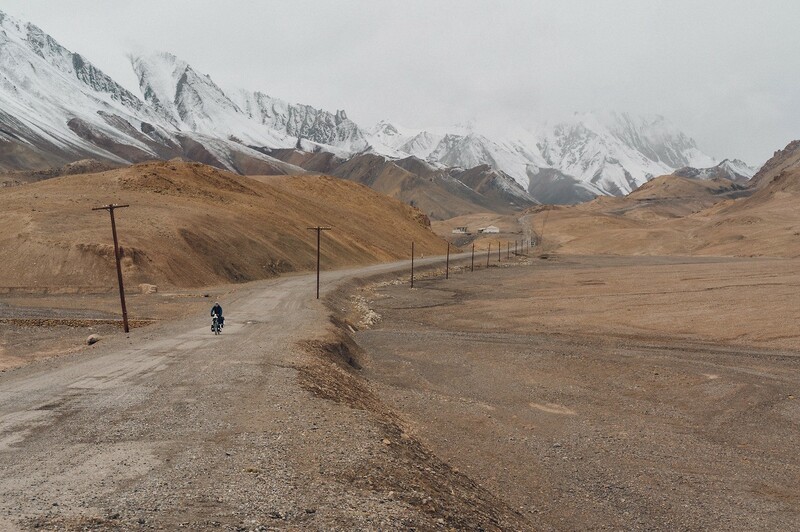 riding the Pamir Highway solo through Tajikistan and Kyrgyzstan. As I was approaching my 30th birthday, I started thinking about how I wanted to celebrate such a milestone. I wanted to do something special. Something different. Something memorable. I thought I would go on an adventure. First, I considered climbing some big peak, but the reality of high altitude mountaineering is mostly waiting around in basecamp for a small weather window to speed up and down the mountain. Instead, I wanted an experience in which the intensity would be more spread out, something I could do alone to think in solitude, but still tough enough see what I’m made of. I wanted a journey that would allow me time to reflect on the decade that had ended and look forward to the one about to begin. I figured a good breeding ground for new insights would be out of my comfort zone, in an environment where I would be pushed to my limits, both physically and mentally. In my experience you always learn something when you’re up against the unexpected. Besides that I really enjoy some physical suffering and the challenge of conquering the elements. Being Dutch I was pretty much born on a bicycle, and have always loved it for commuting and some road cycling. 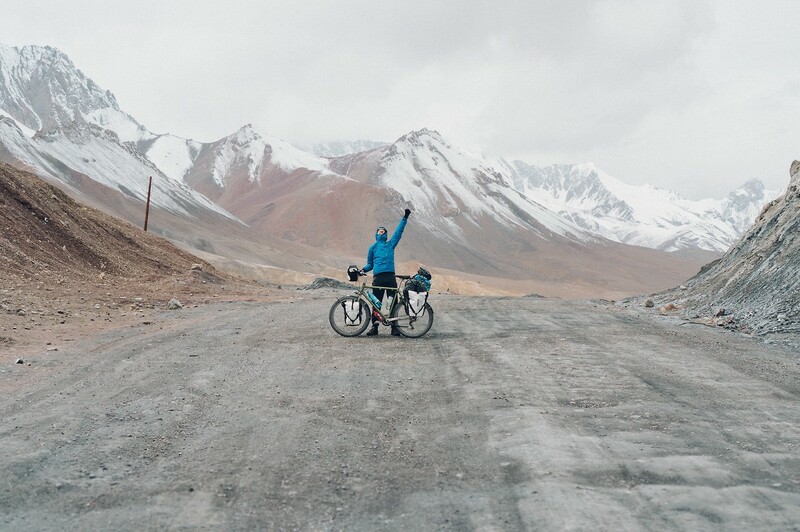 But it wasn’t until I stumbled upon an amazing route through northern Pakistan and eastern China — the Karakoram Highway — and heard the stories of some friends of mine that had cycled through Central Asia that the idea of bike touring dawned on me. I did a massive amount of research online, investigating different gear I would need and possible routes. 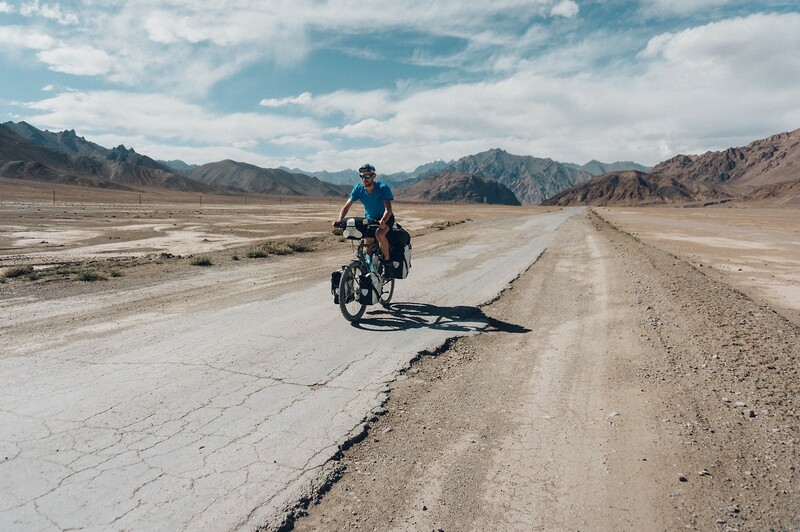 In the end I decided not to do Pakistan, but instead settling on the Pamir Highway through Tajikistan and Kyrgyzstan for my bike touring initiation. Bike touring seemed like the perfect choice for my 30 Days x 30 Years tour. First and foremost, it’s the speed of travelling by bike that I love: it’s faster than walking but much slower than a car. The perfect balance between taking everything in and getting places as well. You’re really in an environment, exposed to the elements. No noise other than the humming of your tires and the wind through your hair. There’s no barrier or protection between you and whatever you encounter along the way, including the people that you pass, basically pushing you in a position to connect with a chat, or just a simple smile. Plus, the weight of what you physically have to carry has an exercise and rhythm that is almost therapeutic. While I packed light, the one item I have to recommend to any bike tourist was something quite unexpected — a small luggage net to stretch over my rack pack on the back of the bike. I used it daily, stuffing anything under it I wanted to have at hand or just let dry a bit; a vest, a roll of toilet paper, a wet towel…on the road it really is the small things that make the biggest difference. On my first day out on the road I started off a little too enthusiastic. Exhausted from the heat and uncountable climbs — coming straight from the cool, Dutch flatlands — I ended up in quite a populated area with no place to set up my tent. After an hour of cycling around, dawn falling and trembling from low blood sugar I knocked on someone’s gate as a last resort. An old man opens, takes me in and immediately gives me food, a hot bucket shower and a bed to sleep in. I hit the hay teary eyed that night overwhelmed by so much hospitality, and the thought of what I would do when some random bum on a bicycle would knock on my door that time of night. The challenge of that first day was surely a sign of things to come — this trip was definitely not going to be all smooth sailing. In fact, one of my biggest challenges hit during my second week — I fell pretty ill, with terrible stomach pains, unable to keep any food down. I was bedridden for days, just lying in a dark room staring at the ceiling. I was stranded at a homestay on the Afghan border with a family that didn’t speak any English, that didn’t have means of transportation to get me out of there, and when their homemade medicine (vodka with salt and some horrible tasting herbs) only made things worse, got pretty worried themselves. With plenty of time to go over the worst case scenarios it was a real mental challenge to stay positive and not start panicking. I can tell you it had been a while since I prayed, but it felt like an appropriate time to get started again. Kyle Dempster and One Year On A Bike author Martijn Doolaard are both a great inspiration for me. I’m lucky that in general, when I’m on the bike I hardly have to search for motivation; occasionally I’ll call upon some music for support. But, it’s getting out of bed in the morning when it’s raining or I feel really tired that is hard. In these moments, having people you admire to push you to reach your goals is terribly important. Central Asia may not seem the safest place to travel, but despite some minor challenges, I have personally never encountered any real trouble while travelling, or during my many years living abroad. Generally speaking I find regions that are labelled a bit unsafe rather attractive, with that hint of adventurous obscurity and their lack of mass tourism. I’ve found that people in ‘dangerous’ regions are often the most open and hospitable. 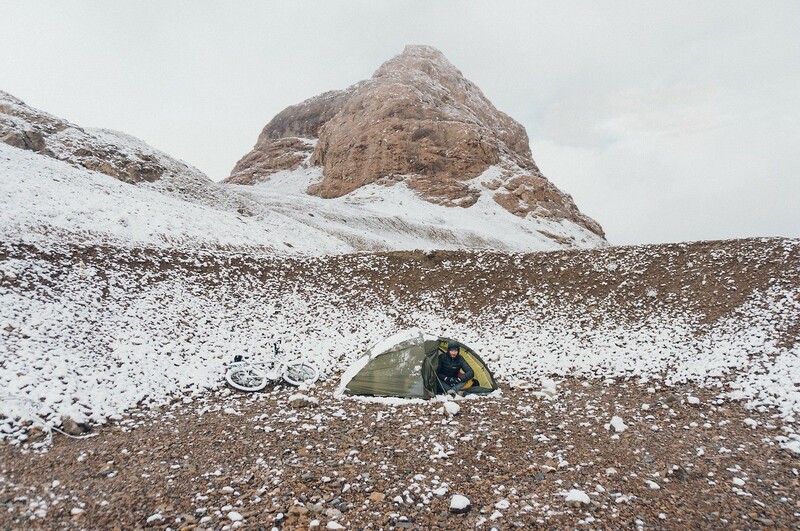 I know this doesn’t go for every part of the word, but in my own experience, people along the Afghan border would constantly invite me in for tea and even (free) lunch, and no one would so much as touch my unguarded bike and luggage outside. I do realise that petty thievery and terrorism are not exactly on the same scale of danger, but I feel that most of the time incidents leading to a country’s bad reputation have nothing to do with violence aimed at foreigners, but rather are a result of internal socio-political tensions between specific groups. Although one can still get caught in the cross fire, to me that’s a completely different risk than travelling to a region with a rich history of specifically targeting Westerners. Just be wise and think ahead. The hardest thing about the trip was definitely leaving my wife behind for a month. Not because of I was afraid of getting homesick or anything, but the knowledge that I would be on an adventure that would totally consume me, and she would be alone in an empty house probably wondering if I was OK, without internet or phone reception to communicate. She definitely wanted me to go and have this experience, but at the same had to live with a good amount of worrying. That can feel a bit bittersweet and selfish at times, but I think overall we both felt the reward of such an adventure would far outweigh the negatives. This trip was a search for the unexpected in a way, and I got plenty of it. One of the many surprises along the way was when three friends I met on the road and I were looking for a place to have lunch. Some villagers direct us towards a place a few kilometres out of town. When we got there, we sat down and asked for something to eat, signalling with our hands. Out they came with two big plates of mushy noodles, some stale goat meat and a cup of tea to share. It wasn’t great, but in this place you cherish whatever you can get. Upon paying though, they strangely refused to take any money. Talking to my friends I find that to many people Central Asia is a bit of a blank spot on the map. They know the names of some countries, but have little idea what to expect, other than it probably contains some remnants of the Soviet Union. 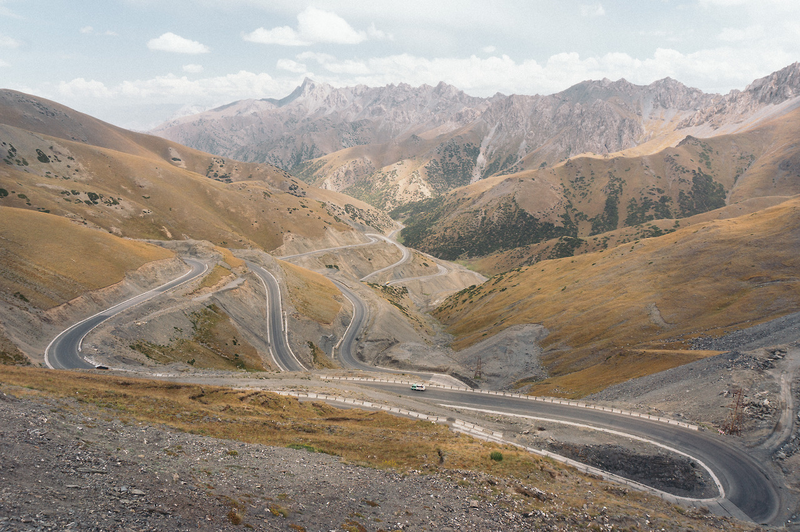 Tajikistan is such a raw diamond, and while Kyrgyzstan is more developed, it harbours exquisite natural beauty. I think both of them are must-sees. I really like destinations that are not so developed (and flooded by tourists) yet with rugged, desolate landscapes preferably surrounded by high peaks. Central Asia definitely ticks those boxes. If that’s music to your ears and don’t mind the lack of decent infrastructure, a good deal of uncertainty when travelling, having to communicate with hands and feet and being served goat parts you didn’t know existed, then you’ve come to the right place. But there is one particular village in Tajikistan that I found worthwhile visiting for its surreal character: Tivildara, a small village between Chumdon and Qal’ai Khumb. When cycling there you are on horrible gravel roads for days and feel pretty disconnected from modern society, when out of nothing this model town appears with large brand new houses, a perfect tarmac, and even a traffic light! It feels like entering the set of the Truman show, Soviet edition. There is even a hostel with an actual warm shower and a supermarket with cold beer; an adventure cyclist’s — slightly bizarre — dream. The old cliché says that it’s out of one’s comfort zone where ‘the magic’ happens — and like most clichés this one is so true. I think we try very hard to avoid uncertainty in our daily lives and have planned our whole society around this, because it evokes a sense of fear. But it’s in this uncertainty that you’re more open, or alert maybe, to life’s beauty, to connecting and new perspectives. It’s so freeing to let go of control for a bit, so get out of that comfy bubble and live a little! Ultimately I have one piece of advice for anyone who wants to get out on the road. That’s right, the most cheesy advice there is. But no one knows what tomorrow will bring, so if life hands you that opportunity today, you ought to take it. A big part of it is getting over your own fears: in the months leading up to this adventure I woke up regularly in the middle of the night, thinking “what the hell am I doing?” picturing myself in a tent in the middle of nowhere. And friends all asked me the exact same question. But, I knew I wanted to do this; to take this milestone and do something I would remember the rest of my life. Sometimes you just have to take the plunge, knowing that it will give you an experience no future life event will be able to take away from you. For the full rundown of Daniel’s cycling tour and the stops along the way, click through the map above. 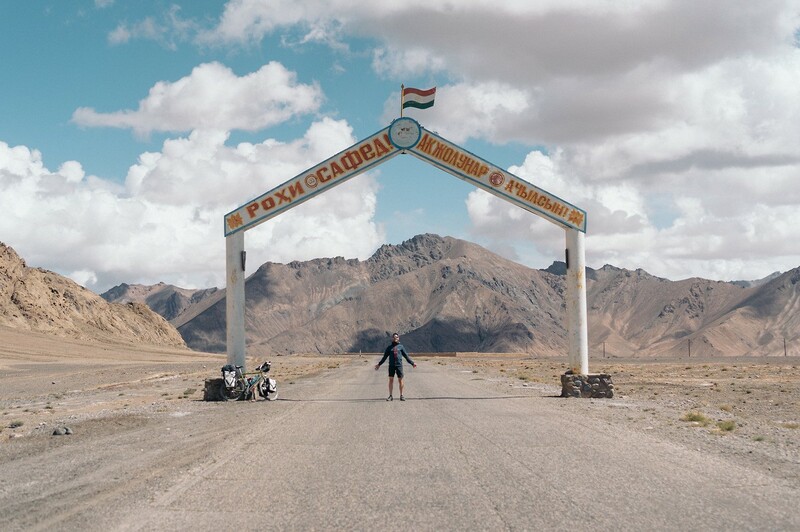 Daniel has continued his adventurous explorations since this interview — read more about his Pamir Highways journey on his blog, and get the latest updates via his Instagram. 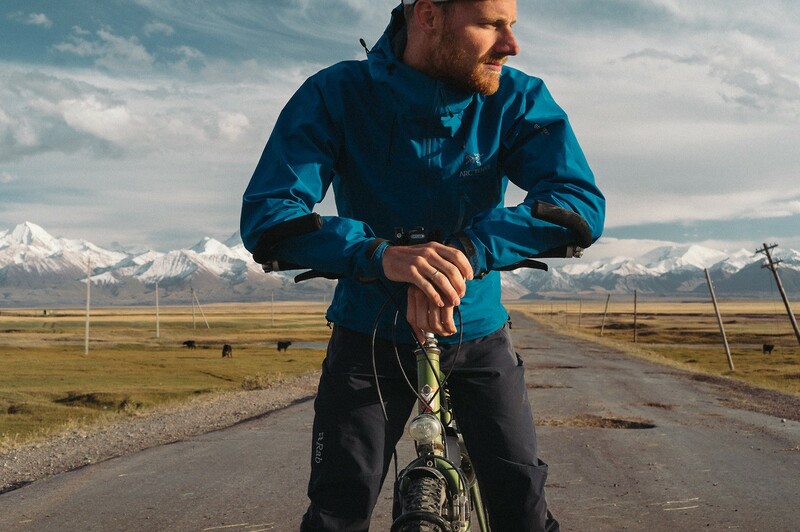 Daniel used Alpaca to share his route through Central Asia. Want to create a shareable map of your own cycling tours? Get started today. Looking for more inspiration? Follow Alpaca on Facebook, Instagram and Twitter. 30 Days for 30 Years was originally published in alpaca.travel on Medium, where people are continuing the conversation by highlighting and responding to this story.